Who needs the gym? 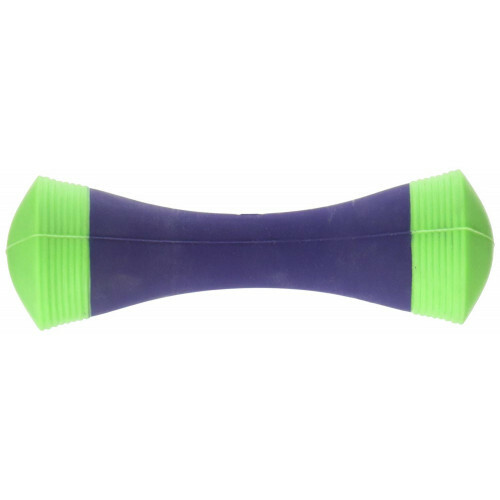 This barbell shaped dog toy will give your toughest chewer a great workout. And with curved ends it's also great for a game of tug. Made of extra durable food-grade silicone, the Barbell is safe to sanitize in the dishwashwer. And as with all SafeMade Pet Products, it is safety tested to federal standards for children's toys, so it's not only safe for your pet, but for every member of your family. The small barbell is appropriate for small to medium size dogs that are tough chewers.